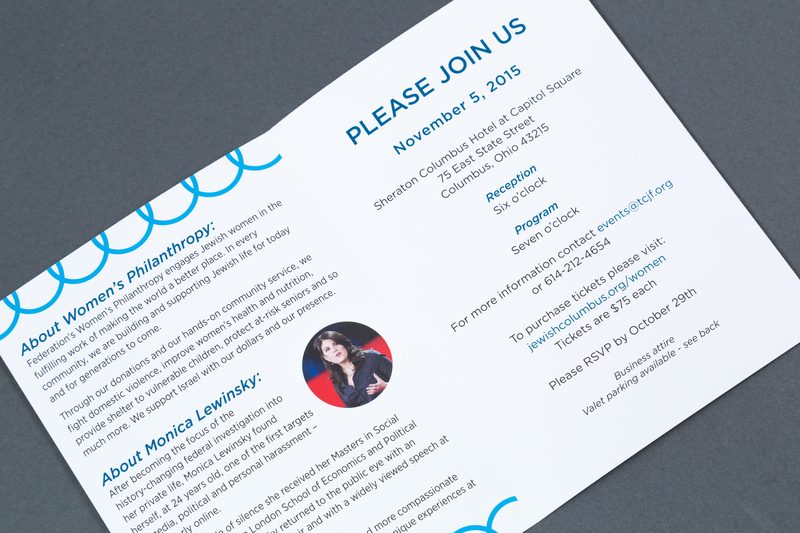 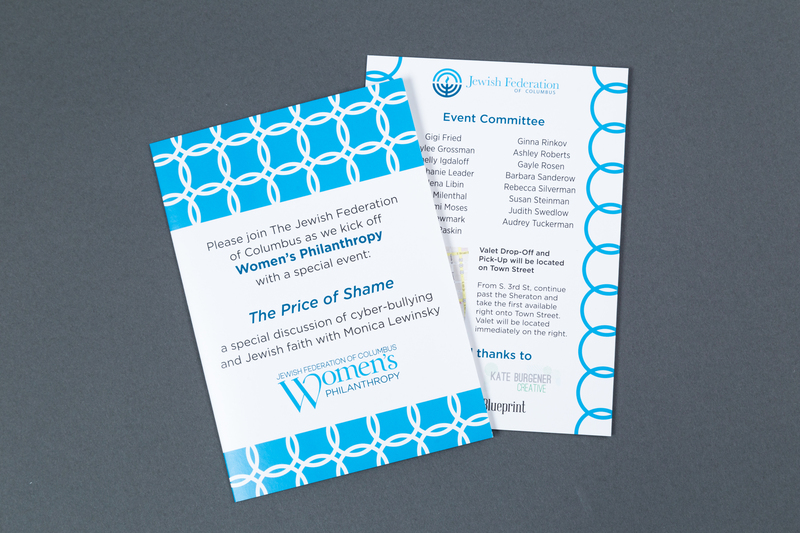 The client wished to set the tone for the Women’s Philanthropy division and upcoming events and activities in the initial event materials. 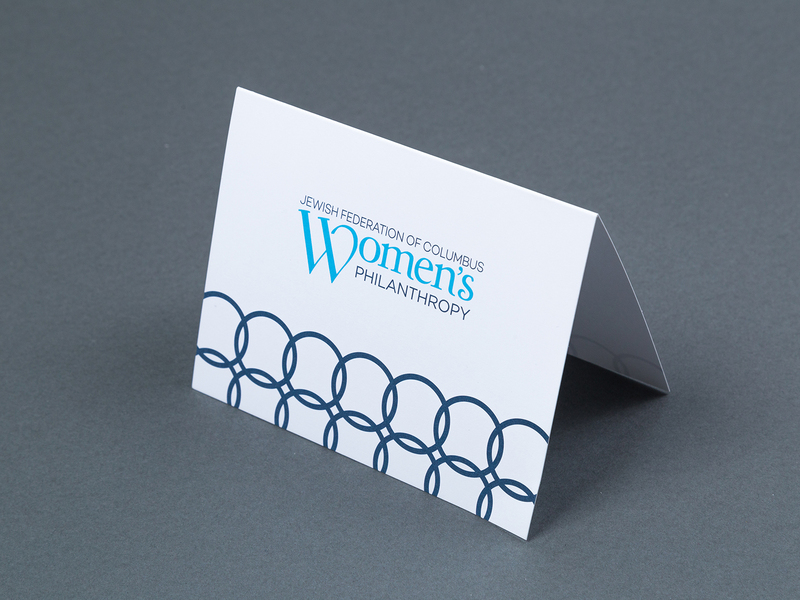 The design was to be modern and minimal with a focus on the power of women’s giving. 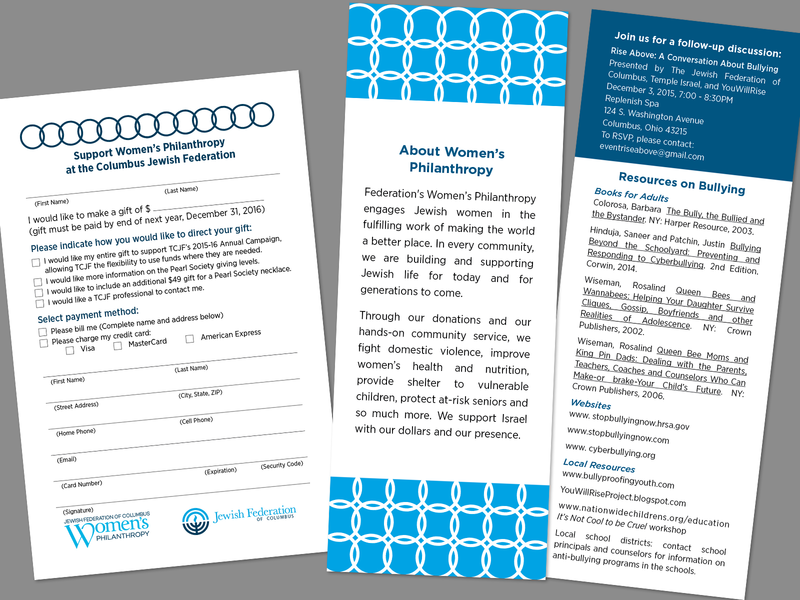 The client wanted visuals that tied in with the overall branding of the Jewish Federation of Columbus, but branded the division as a separate entity and reinforced the idea of social justice as community responsibility. 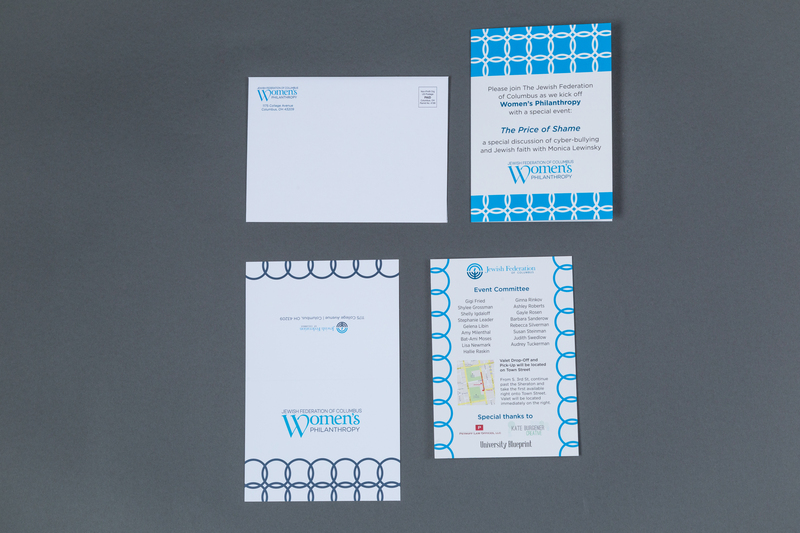 I developed a system of interlinked circles that was highly flexible for the group’s needs as it explored different types of programming and printed collateral. 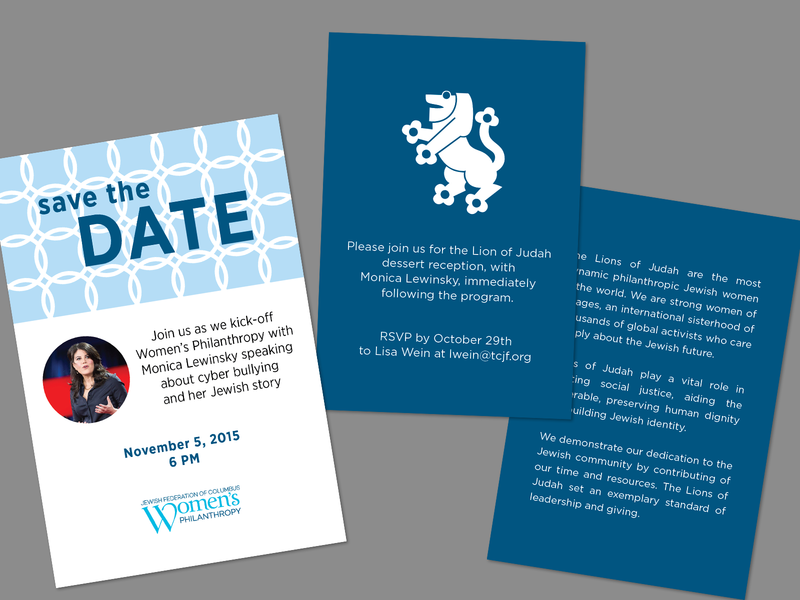 The materials for this event were a save the date, a four-panel invitation, insert and envelope, 7 signs, a seat card, donation card, badge artwork, Powerpoint slides, and blank notecards for the group to use. 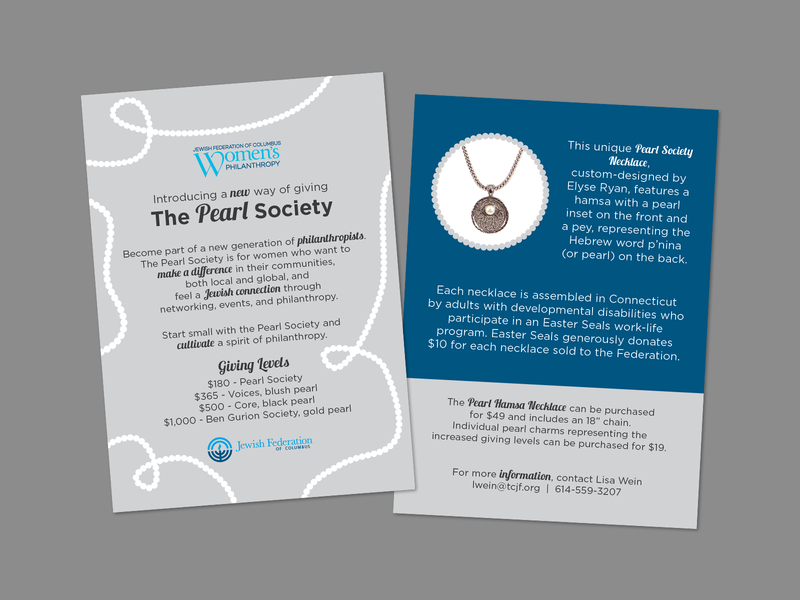 I also created artwork for a new giving society that was to debut at the event, which tied into the Women’s Philanthropy visuals while still setting it apart so the two could operate independently.